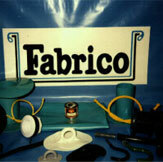 Fabrico Info Fabrico Info - For all of your manufacturing needs. Fabrico Sun Domes has been manufacturing industrial fabric products for over 50 years. We use a wide variety of seaming methods, including RF welding (radio frequency welding), hot wedge welding, industrial sewing, etc. The weakest part of any fabricated product is the seam. Yet the seam is where Fabrico’s expertise is most closely focused. Fabrico was one of the pioneers in the then newly-developed technology of radio frequency (RF) welding more than fifty years ago. We have been working ever since, developing this and other technologies for creating high-strength seams in industrial fabrics, using the most modern and innovative methods to meet the needs of our customers. Our engineering staff has, collectively, over 100 years of experience in the industrial fabric products industry, and has worked on hundreds of projects of every description in dozens of industries, from medical products to contracts for the U.S. Department of Defense. We take particular pride in our ability to work with the customer from the very outset of a project, helping them to develop a product which serves the required function and meets the aesthetic requirements of the customer and the end user, but which is designed for manufacturability so as to minimize the price and maximize the utility and service life. We see our customers as partners in the manufacture of goods which are the best that they can possibly be. Our engineers are not the only human assets in which we take pride. Our staff of seasoned operators in our cutting, heat sealing, sewing, assembly and, most importantly Quality Control and Inspection departments have an average of over 15 years of experience in carrying out their respective jobs. In short, with Fabrico, our customers know that expert knowledge and years of experience will be brought to bear on the resolution of every detail in the manufacturing of their products. Fabrico Sun Domes is an EOE M/F/D/V.